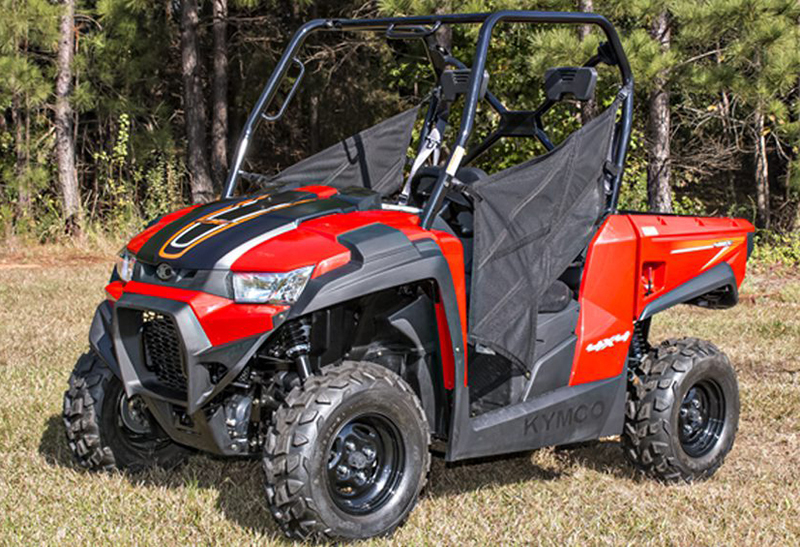 Built tough for trails, and rough for ranges, the compact KYMCO UXV 450i Camo is powered by a 443cc compact engine with EFI, that’s tuned for performance. The UXV 450i’s virtue is versatility, with its compact chassis that rolls right into most full-sized pickup trucks. 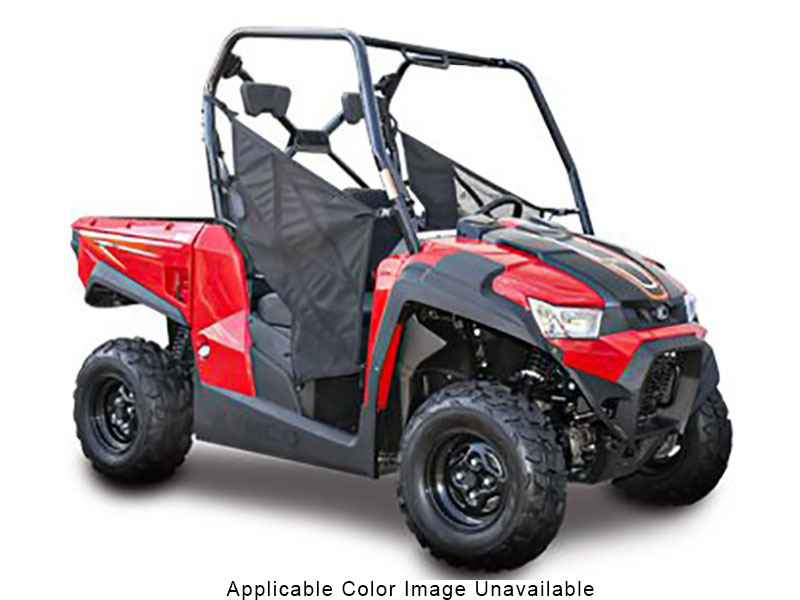 The KYMCO UXV 450i’s cab features a bench seat and tilt steering wheel for easy access in and out of the vehicle. A 440-lb. 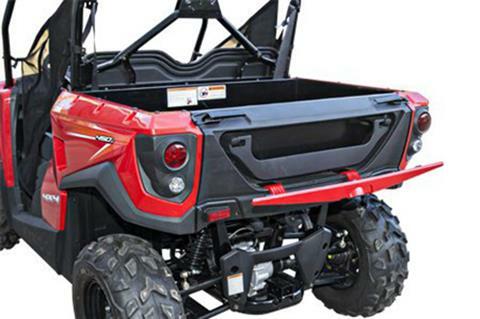 capacity gas-assist dump bed with built–in tailgate storage is out back. Its outstanding ground clearance and class-leading front and rear independent suspension provide smooth, sure-footed handling on rough and rugged terrain, complemented by 2WD to 4WD with differential lock. Built for rugged play and tough work, the UXV 450i is an outstanding value for its features and quality.